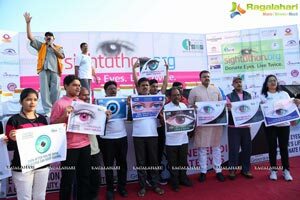 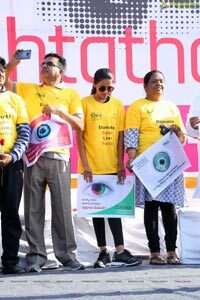 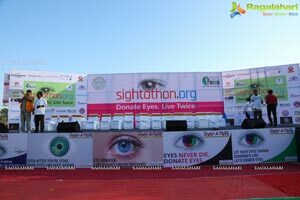 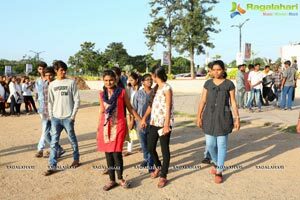 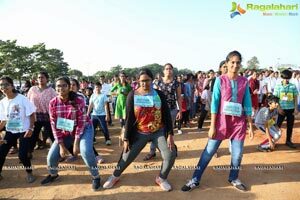 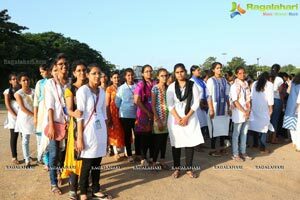 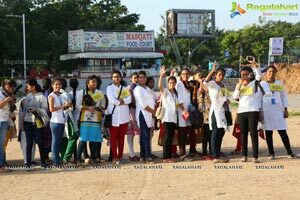 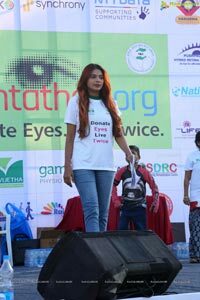 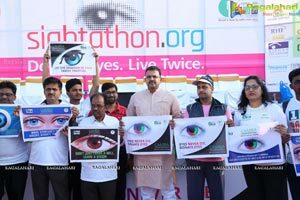 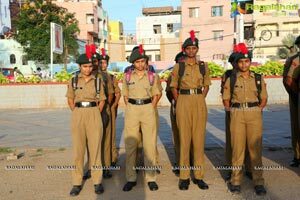 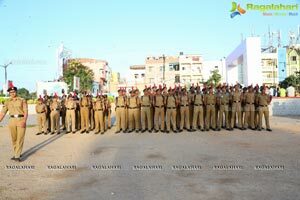 Hyderabad, September 2018: First ever ‘Sight-A-Thon 2018 a blindfold 2k walk was organised in city on Sunday, by Saksham –Telangana National Level NGO, an Joint Initiative of Govt of Telangana, NPCB and camba, To create awareness on eye donation and to empower the visually challenged. 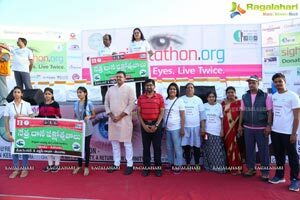 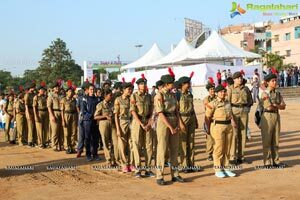 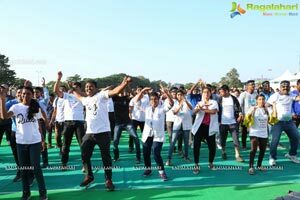 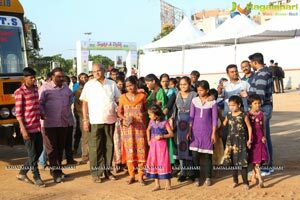 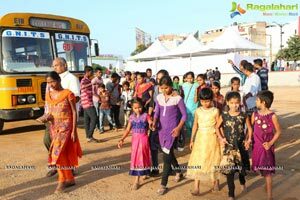 The walk was flagged off at the Peoples Plaza by the Tollywood stars Konedala Niharika, Tanikella Barani, JD Laxminarayana along withjagadeshwar, Principal Secretary to govt, IAS, Janardhan Reddy, HMDA, Ram Chandra Reddy (MLA), Mahender Viashnav and Madhu- Indian Cricketers (Visually Challenged) were also graced. 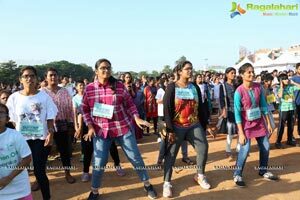 2k Run started from Peoples plaza to Sanjeeva Park via Jalavihar and turned back to Plaza. 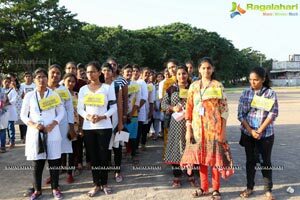 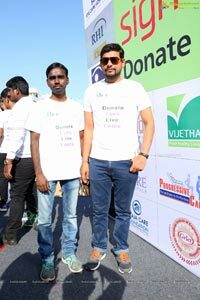 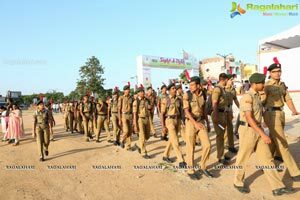 More than 2thousand participants supported the walk. 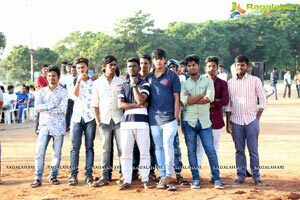 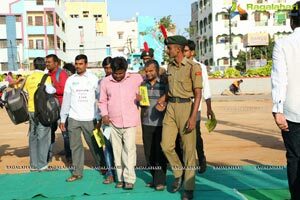 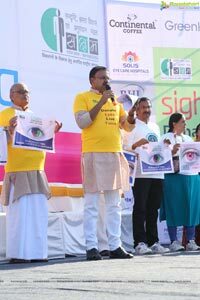 Saw the participants in the walk blindfolded and hand held by visually challenged guide team of blindfolded members in the walk. 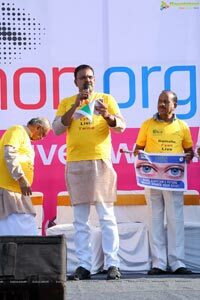 "Many are suffering with blindness right from the birth or because of cornea like problems, eye donation is the only way left to get the eye sight to these people" said, Dr. Veda Prakash, President Saksham Telangana and Karunakar, Secretary Dr. Santosh Kraleti, National executive member Saksham.